Overall functionality is based upon a collection of individual MultiPlug Extensions that can be developed for bespoke needs. Extensions have the access to the large library of the .Net framework as well as third party libraries and legacy code wrappers. 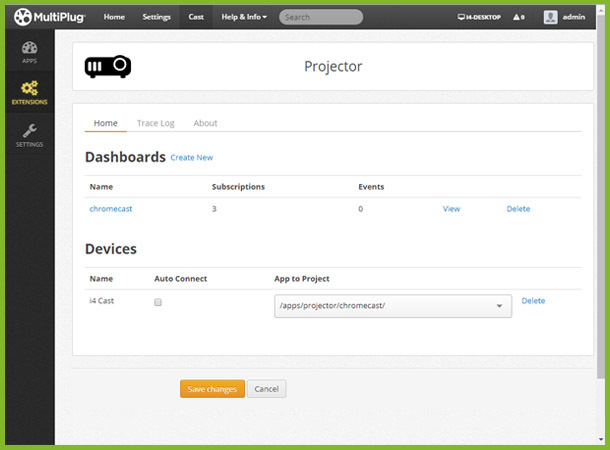 Extensions can produce a set of either Full Screen or framed Web Apps for user monitoring and control. 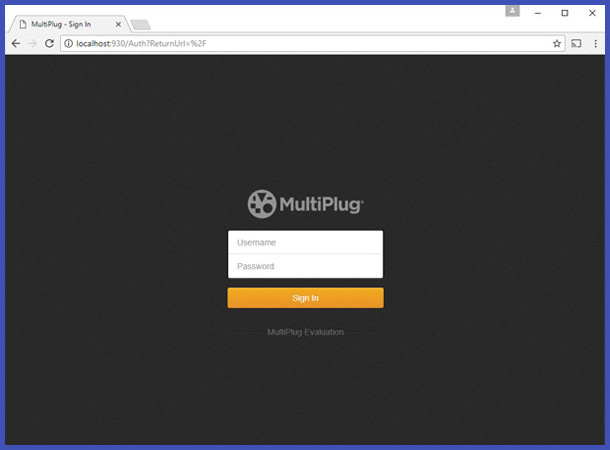 MultiPlug is locally hosted on a device running Windows or Linux in a network topology customised to the solution. Retheme the MultiPlug default dashboards to your existing corporate branding using familiar web technologies. The MultiPlug architecture will be familiar to developers who use the Publish–Subscribe design pattern. In most cases where this design pattern has already been used on existing third party data connectors the MultiPlug will provide a visual representation of their Events and Subscriptions. 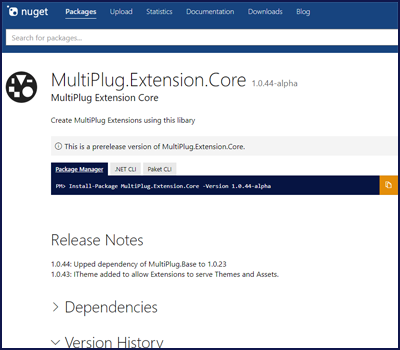 MultiPlug Extensions (also known as plug-ins or add-ons) provide the ability to extend the MultiPlug functionality based on published Nuget interface contracts. Each Extension runs as its own software component within a sandbox to ensure platform stability, with its security permissions controlled at a granular level. At the most basic level, an Extension contract states it must provide two common assets; Events and Subscriptions. 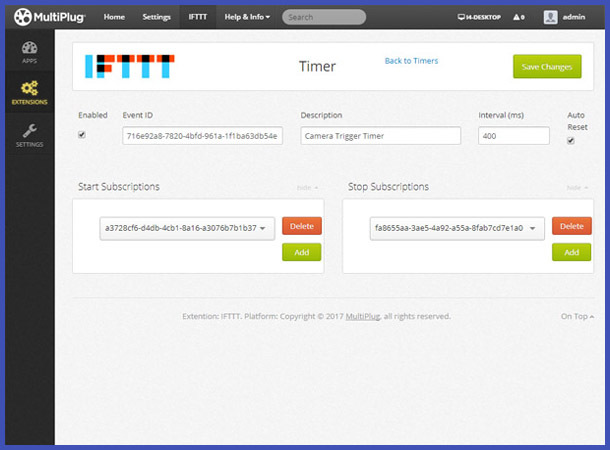 After local or remote configuration, Extensions can subscribe to another Extension's Event. The payload data sent between Events and Subscriptions is in a simple Key Value form with no formal contract allowing Extension creators to dictate their own contracts. The new functionality is packaged up into its own file which can be separately distributed, optionally with configuration data, for easy movement between MultiPlug instances.  An Android MultiPlug discovery App is available from the Google Play store. 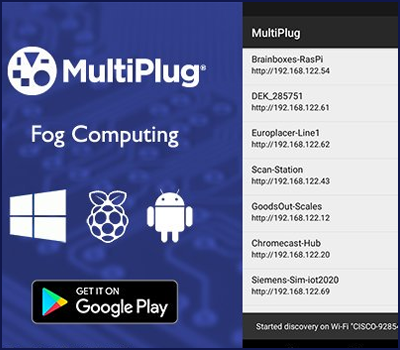 This App lists MultiPlug instances found on the current WiFi network and allows you to conveniently connect to the Web browser based user interface of any of the discovered instances. We wanted trigger a chain of events using our existing Event Log. On reading an error code from the Event Log, we captured an image of the equipment's state which was displayed on a Chromecast-hosted big screen dashboard. We then escalated the error via twitter to a local service engineer if the equipment wasn’t attended to within two minutes. We used an Extension to subscribe to our Continuous Integration server, once this was triggered by a new build, the Chromecast hosted dashboard was updated for the morning. Previously to view current stock level we had to connect to vending machine via a hyperterminal using a DOS style interface. Now we can retrieve multiple sites by aggregating the data and viewing it on a user friendly web browser. We work with a wide range of partner organisations to ensure MultiPlug is modular, scalable and highly configurable.